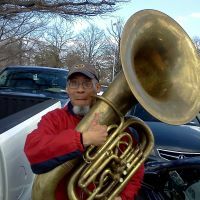 Looking for a larger bore F tuba, piston or rotor, preferably used. If anyone can point me in the right direction, I would greatly appreciate it!!! UPDATE: I am no longer in search of an F tuba. I have recently purchased a used Yamaha YFB-822 and it plays great! Thank you to everyone that offered help through my search.